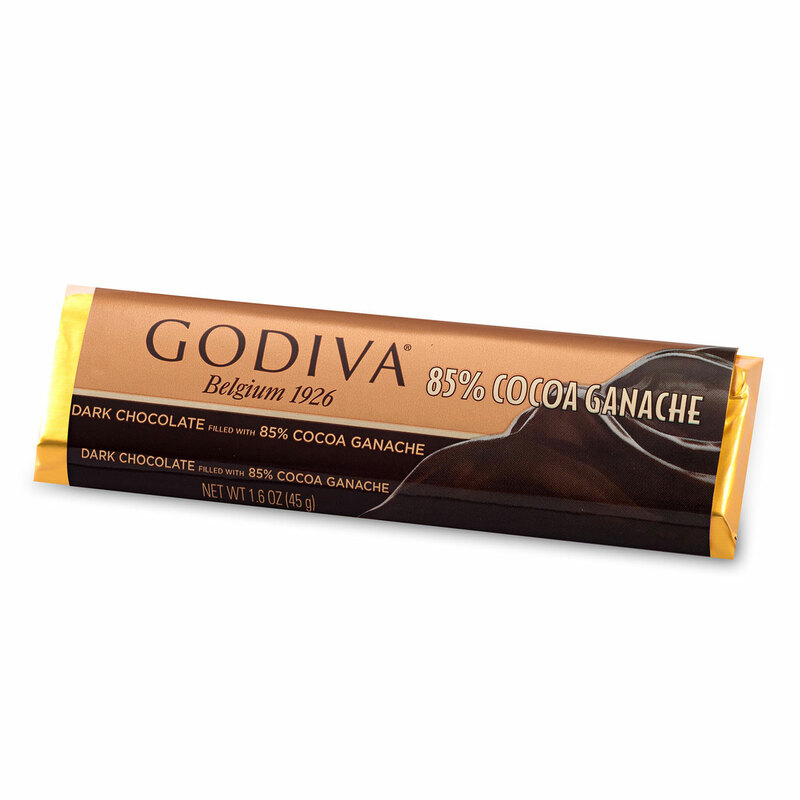 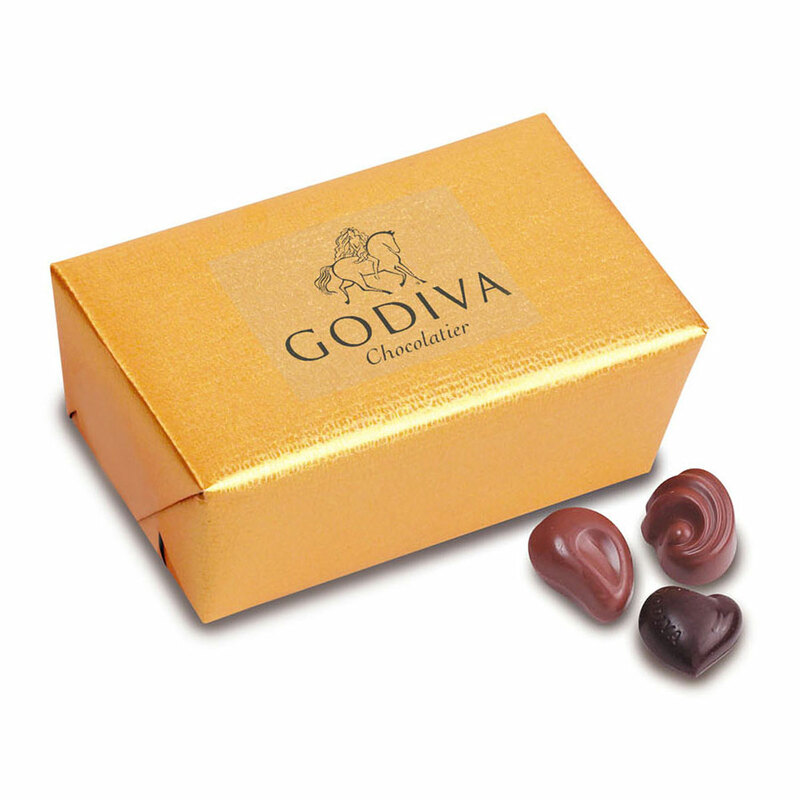 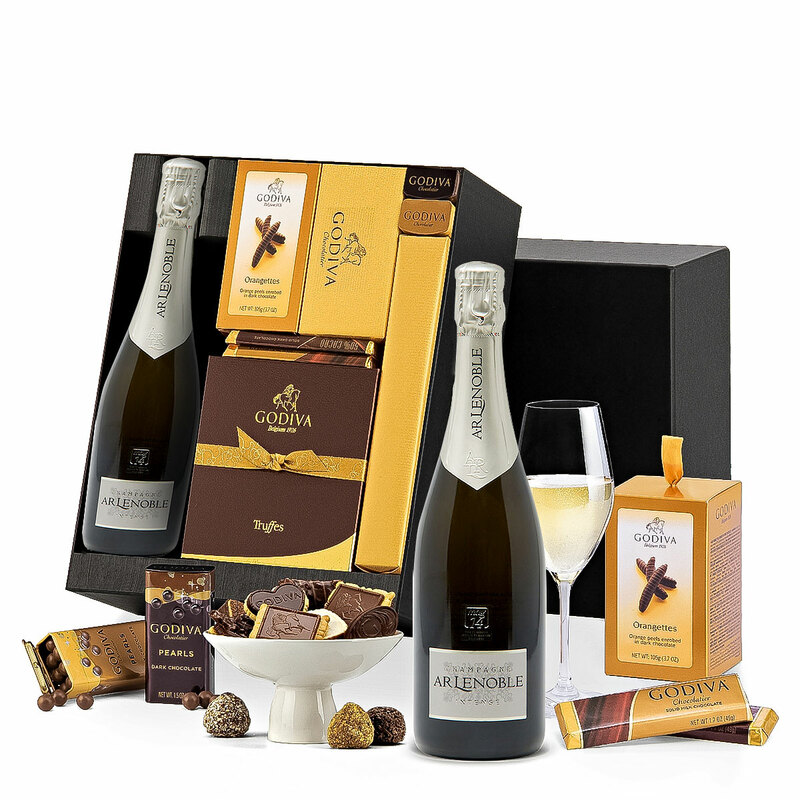 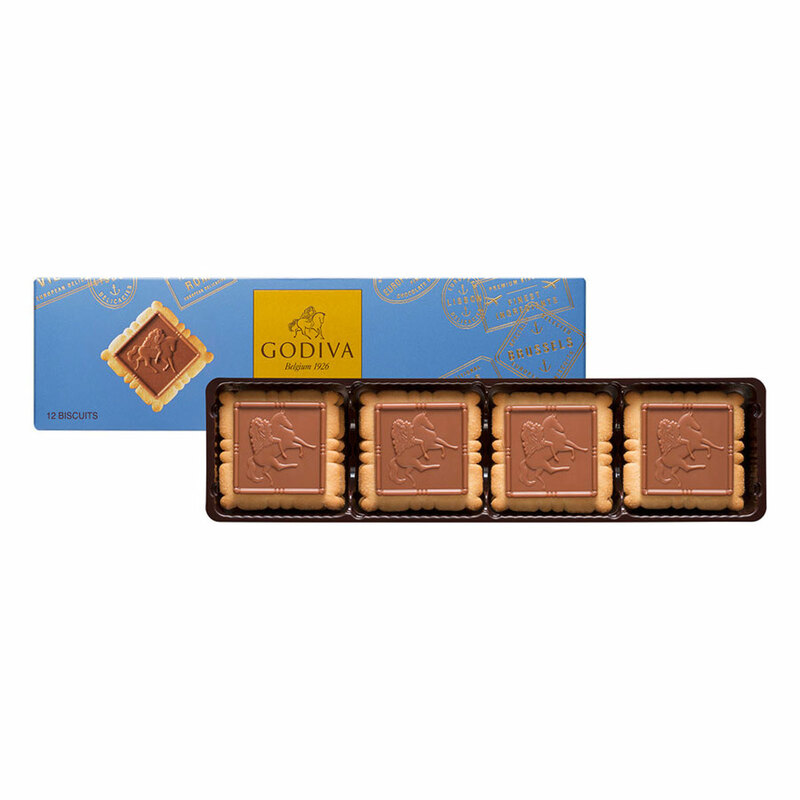 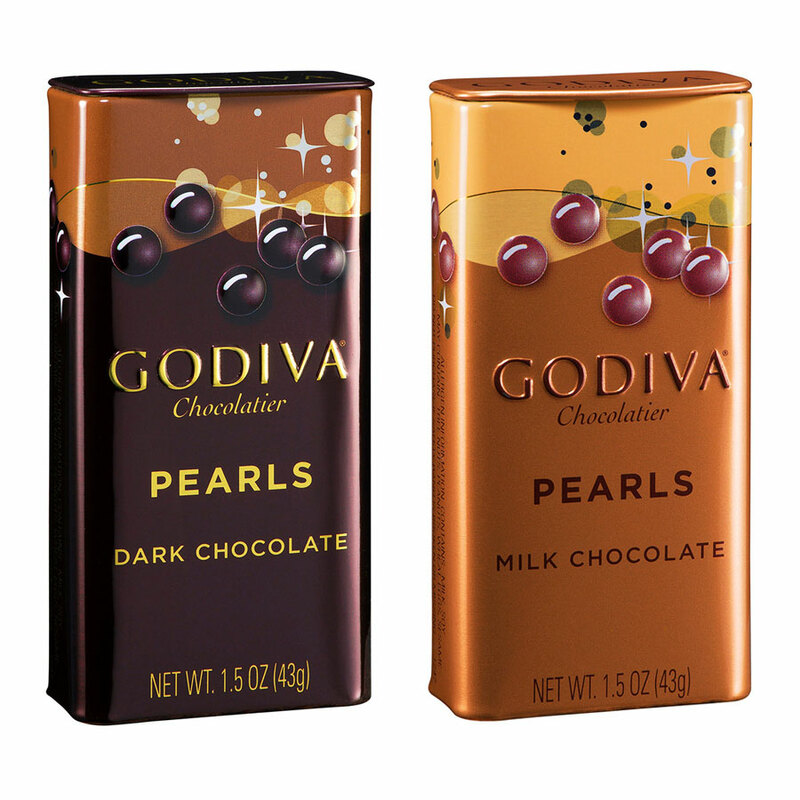 What could be better than the classic indulgence of gourmet Godiva chocolates and French Champagne? 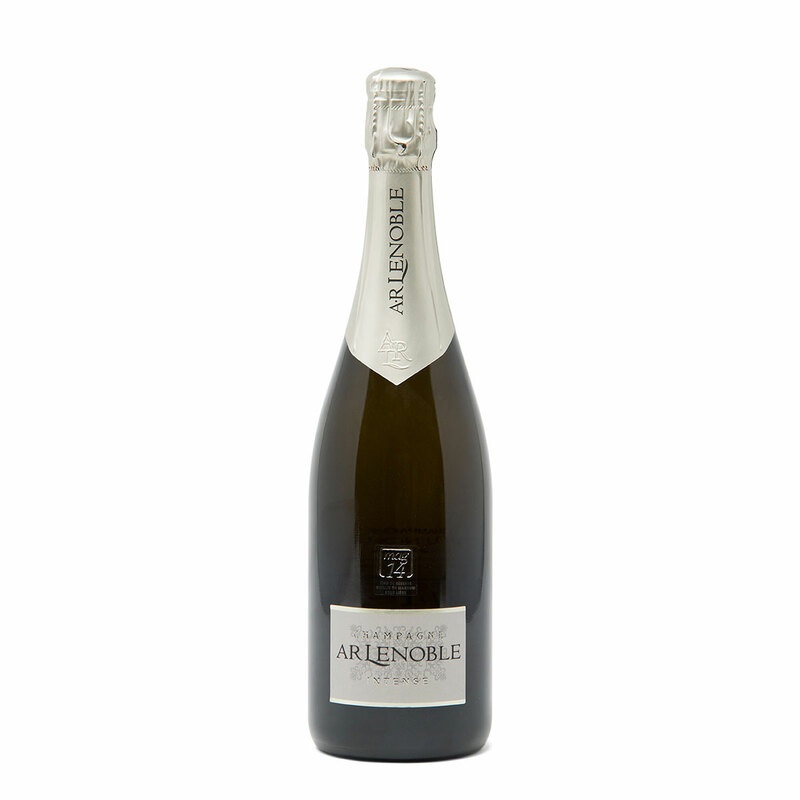 Turn any occasion into a celebration with a bottle of effervescent Champagne Lenoble Brut. 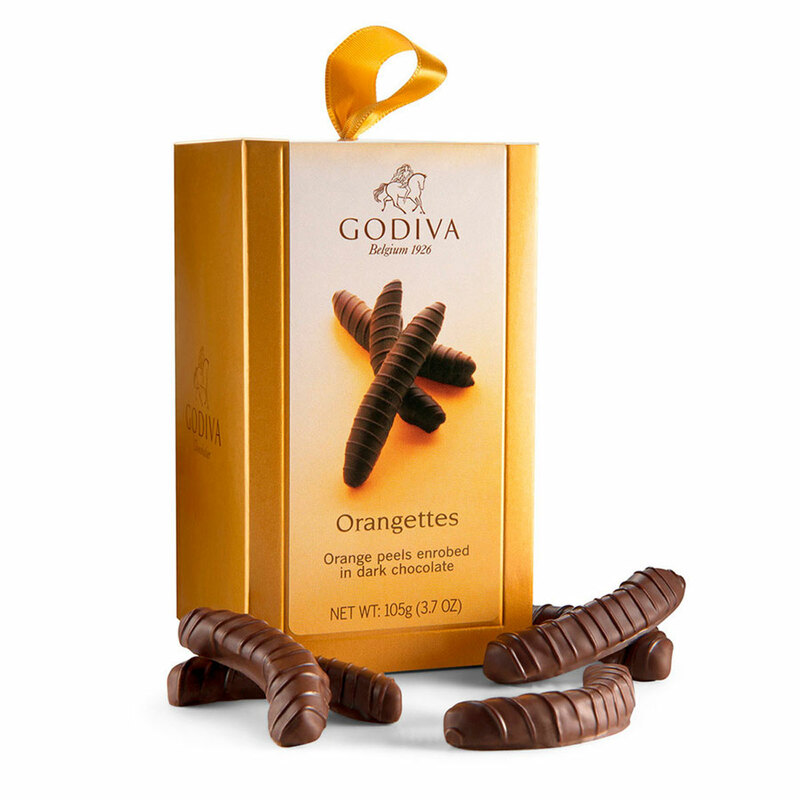 Fresh, lively, and aromatic with hints of white fruit, citrus, blossoms, and mineral notes, the Champagne is an outstanding companion to heavenly Godiva chocolates, truffles, chocolate covered fruit and nuts, and bicuits. 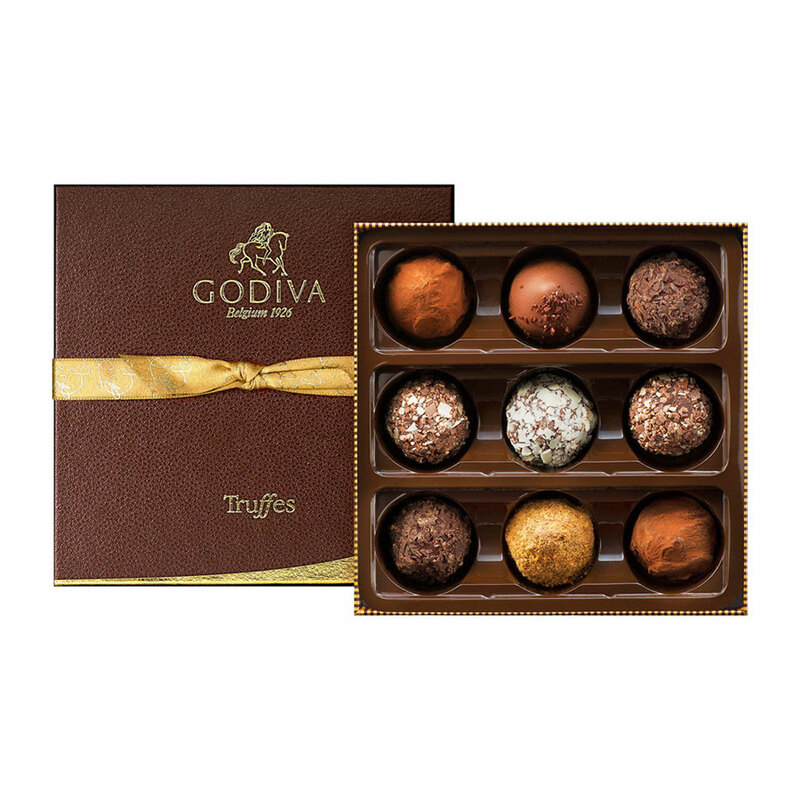 Gourmet Belgian chocolate gifts are the perfect choice to send holiday cheer, express corporate appreciation, and to mark birthdays, anniversaries, and other special occasions.